Myss Lafunky's Blog: Pushed to the Breaking Point? I recently stumbled on an album on Spotify titled: "Church Folk Gotta Laugh Too" and I thought to myself, I go to church so, let's see what this is about. This album was a collection of prank phone calls to Christians accusing them of something they had not actually done. The prankster (Nephew Tommy) was actually put up to make these calls by close friends or family members of these oblivious victims. He was also really good at pushing the buttons of these people and it didn't take long before some of them started cursing and threatening to beat up the caller. Yes! You read that right. Supposed Church folks were pushed to the point that they spoke vulgar word. This got me thinking! How did this happen? These people are meant to be Christians yet, at the application of the right amount of provocative pressure, they completely exploded! But the real question from this is how would I have reacted to such a phone call? (By the way the calls seemed very legitimate). I probably would have done exactly what they did or probably even worse! I believe that’s why Jesus said: “Stop judging so that you will not be judged . . . 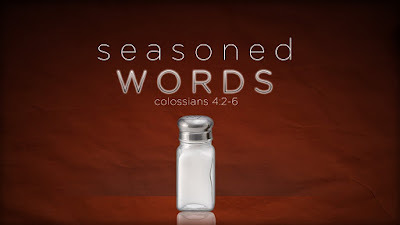 So why do you see the piece of sawdust in another believer's eye and not notice the wooden beam in your own eye?” (Luke 7:1-3) In that scenario, I would have thought to myself that I was justified to speak that way to the caller especially because he started it and also there wasn't anyone else listening to my conversation. Wrong! Wrong! Wrong! No matter how far back against the wall we are pushed as believers, the Word of God to us is that God would not allow us to be tempted beyond what we can handle. He gives us the strength to endure it so He can be glorified. (1Cor 10:13). So, when we are tempted to react in a way that doesn’t glorify God, that’s the exact same time we should CHOOSE not to respond to the temptation and respond positively. When someone speaks to me accusing me of something I haven’t done, I shouldn’t lose my faith then speak and behave like someone who isn't accountable to anyone because we shall account for every word we speak (Matt 12:36). I have been translated from darkness in the light and I should ALWAYS uphold the standard of the light. 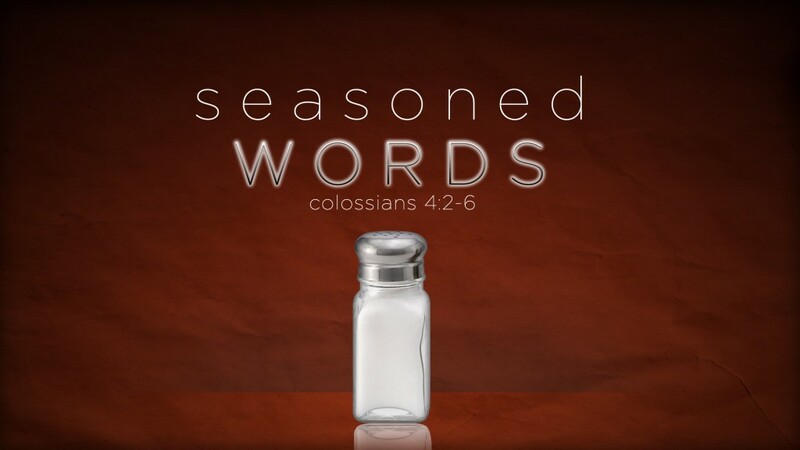 Our words should be seasoned so that we know what to respond to any question or accusation. I am in no way saying that this is easy, NO! It’s really hard, even the scriptures attest to this (James 3:2). And that is because our human nature wants to “put that person in their place” and get back at them for insulting or speaking harshly to us. So, as you go into this week, don't let anyone push you to a point that you speak without grace. Let your words be True, Helpful, Inspiring, Necessary and Kind.